Vector Illustration Of Abstract Molecules And Communication - Social Media Technology Concept With 3D Paper Label Circles Design And Space For Your Content, Business, Social Media, Network And Web Design. Клипарты, векторы, и Набор Иллюстраций Без Оплаты Отчислений. Image 42345510. Фото со стока - Vector illustration of abstract molecules and communication - social media technology concept with 3D paper label circles design and space for your content, business, social media, network and web design. 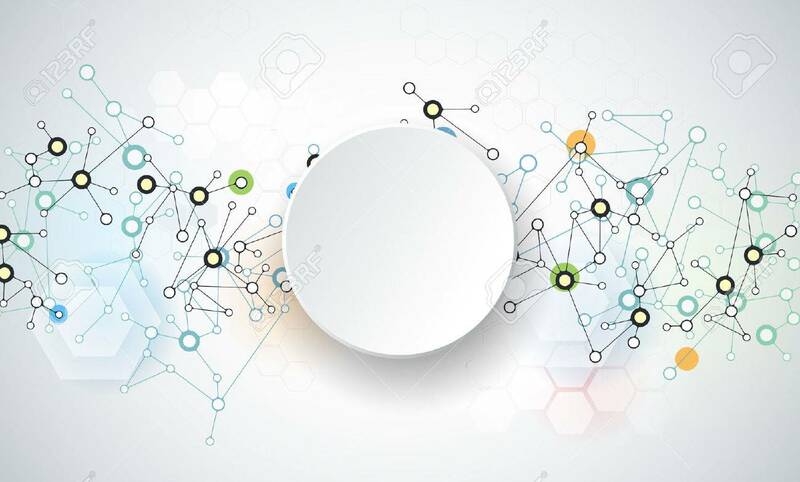 Vector illustration of abstract molecules and communication - social media technology concept with 3D paper label circles design and space for your content, business, social media, network and web design.